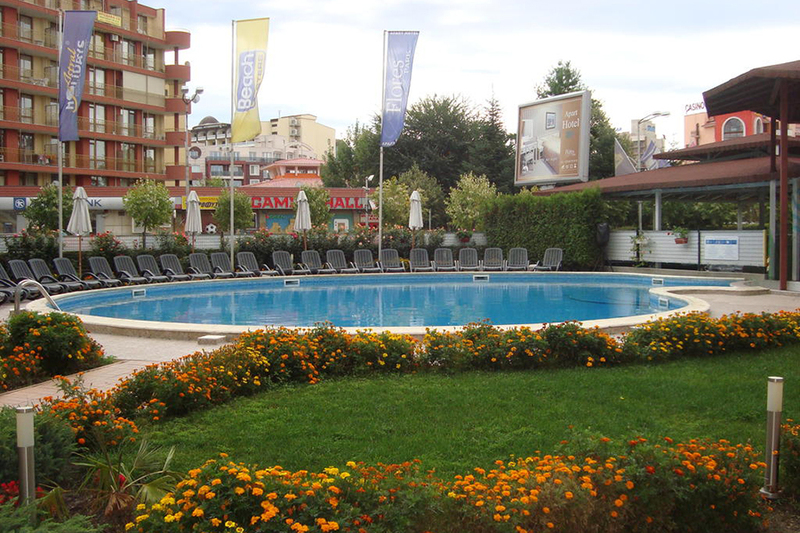 It is 500 m away from the beach and 2 km away from Nessebar. 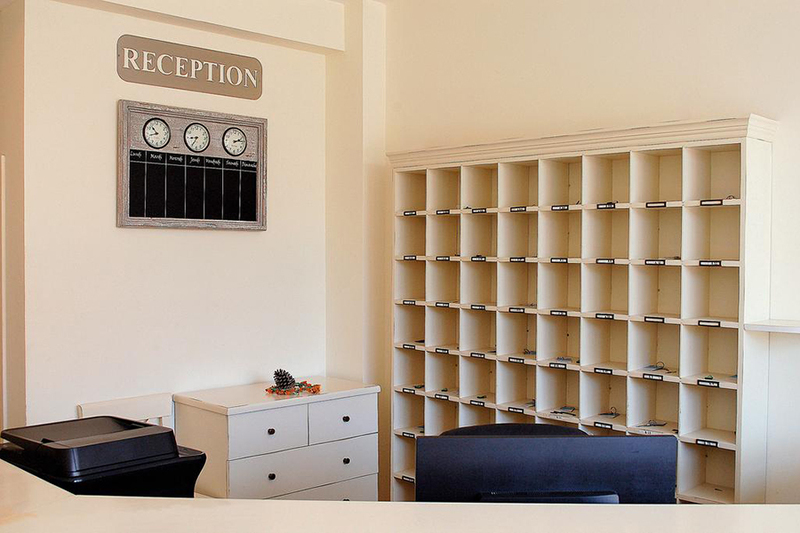 It has studios, one-bedroom and two-bedroom apartments. Flores Park has an outdoor pool and 25 secure parking spaces on the ground floor. Free Wi-Fi is also available. At guests disposal are also: garden, 24-hour mini-market. 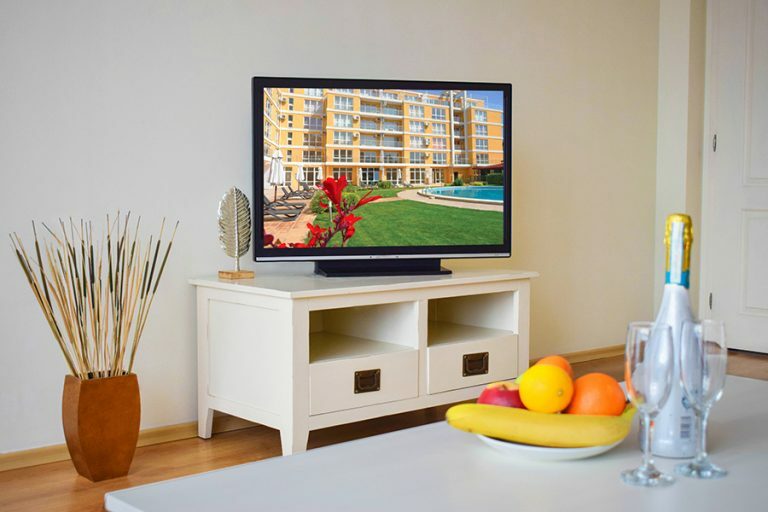 The two-bedroom apartments consist of two bedrooms, bathroom with shower, living room with dining table, sofa, cable TV, fully furished kitchenette box and cutlery, terrace. 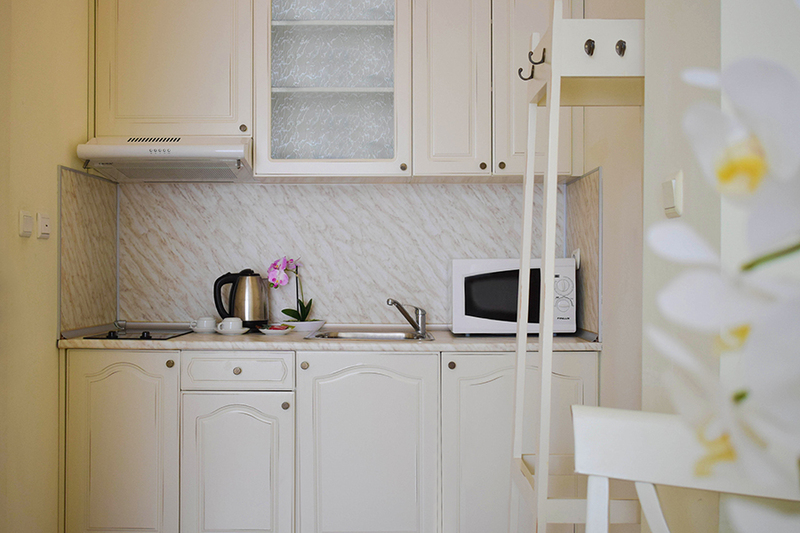 The one-bedroom apartments consist of one bedroom, bathroom with shower and a living room with a dining table, sofa, cable TV, kitchenette box and cutlery, terrace. 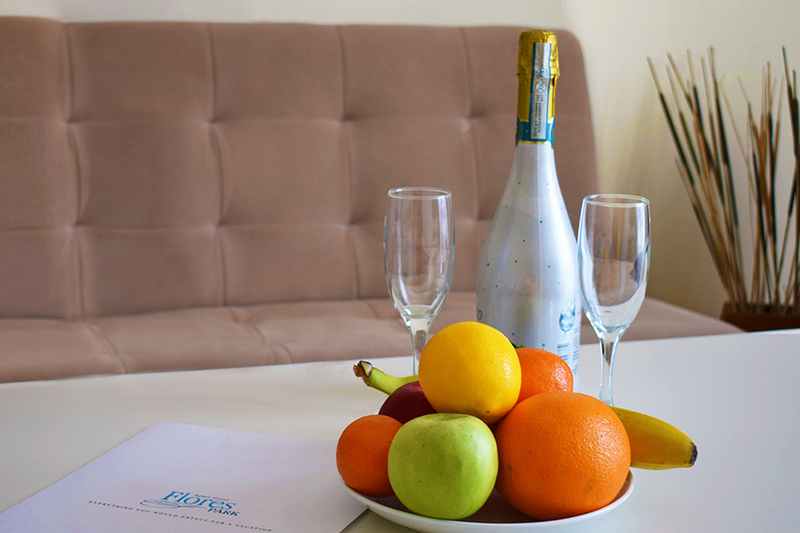 All studios have air conditioning, cable TV, bathroom with shower, fully equipped kitchenette - hotplates, microwave, refrigerator, utensils and utensils. 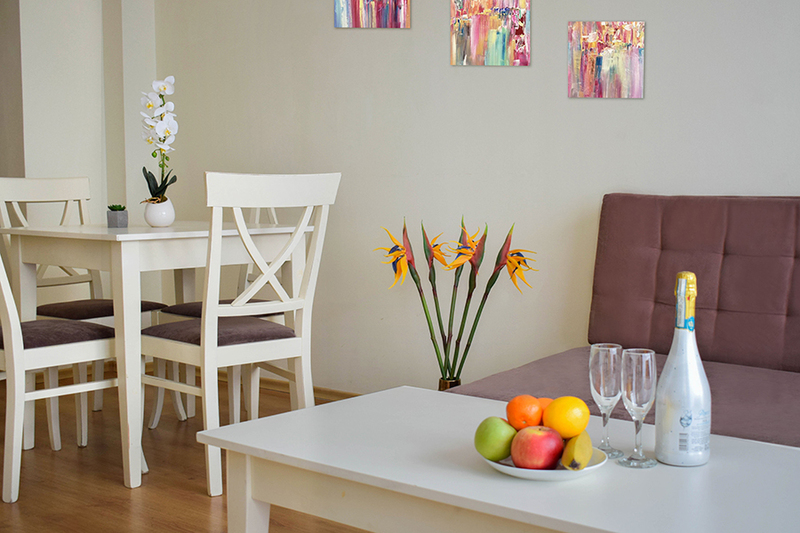 The studios are located on the ground floor and have own ground with table and chairs, and direct access to the pool. Чистота, комфорт, добро посрещане. Нямаме забележки, доволни сме и бихме посетили отново мястото. stayed one night before the flight in september 2018. Very quite, clean swimming pool, comfortable water. Worth its price, simple and cheap. Close to the main road and bus stop. Not far from the sea. Хорошее расположение. На территории расположен бассейн. Красиво оформлена прилегающая теретоия. Удобная парковка. Good location 10 min walk to the centre and nice bars and restaurants very close by. Rooms cleaned and fresh towels everyday. Nice staff especially the friendly lass in in the shop. Would definatly return. Distance 0.7 km from centre of Sunny beach resort. Distance 0.8 km from centre of Sunny beach resort. 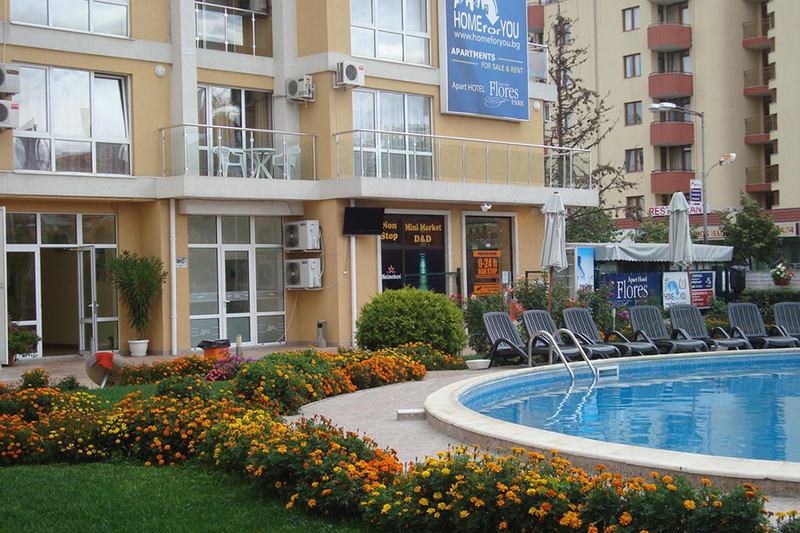 Distance 4.2 km from centre of Sunny beach resort. You’ll find trestle tables stocked with locally-made Bulgarian wine, fresh produce and leather goods. Make sure you don’t blow the budget here, because the next part of this trip will take you to Bourgas and the Galleria Mall. This newly-opened shopping centre is a force to be reckoned with. It’s 3 stories tall and boats 35,000 square metres of retail space. Its store list is a who’s who of high street brands, including H&M, Zara and Bershka. Relax with a wander around the city’s Sea Garden park. The manicured lawns and flowerbeds make a change of scenery from the store fronts and clothing rails of the shopping centre. Alternatively, take the weight off your feet in one of the cafés or restaurants that line the sandy beach near the harbour. Nessebar is one of Europe’s oldest towns. And, thanks to its historical heritage, it’s earned its stripes as a UNESCO World Heritage Site. During a walking tour you’ll see why it caught UNESCO’s eye. 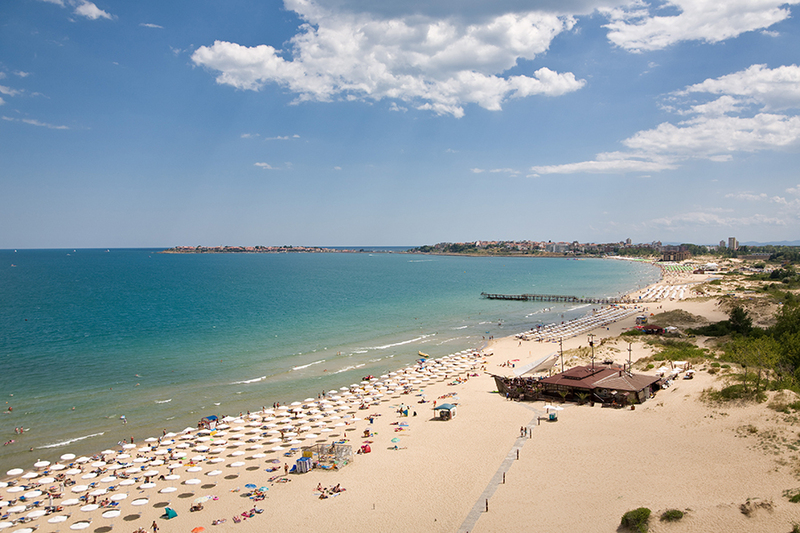 Nessebar’s timeline began more than 3 millennia ago, when the town was founded by the Tharacian civilisation. Since its birth, it’s been ruled by the Greeks, the Romans, the Byzantines and the Ottomans, and most of these empires have left imprints on the place. You can still see the remains of temples and agoras from antiquity and basilicas from Medieval times. On top of all this, there are more than 40 historical churches to spot. Once your guide has introduced you to the town’s main sights, you’ll have some free time to explore under your own steam. Take the time to revisit the sights that caught your imagination the most or take the weight off your feet in one of the town’s seafood restaurants. An ideal opportunity to escape the beaches for some of the more cultural sights Bulgaria has to offer. Discover painted churches, traditional craft shops and museums packed with historical artefacts, plus you'll have the option to take a chairlift ride over the Blue Rocks, for an extra fee. The gentle curve of the bay here keeps the waves in check, so it’s really calm for swimming. It’s also great for all the watersports that are on offer. Pedalos and banana boats start things off, then waterskiing, jet-skiing, paragliding and scuba diving pick up the pace. Back on the sand, you can join in a game of volleyball – or tune up your swing on the mini-golf course. After dark, the prom switches its focus from eating out to full-on partying. Come early evening, you’ll sometimes see a fire dancing show on the sand – a traditional ditty performed on hot coals. Irish pubs sort out the live music and Guinness, while stylish beach bars mix cocktails to match the sunset. And if you have the energy, huge multi-level clubs keep the party going ’til sunrise. Visit Bulgaria during the summer months, and sunshine is pretty much guaranteed. The mercury regularly exceeds 30 degrees in July and August, and swimmer-friendly waters nudge the mid-20s. Pick a date in spring or autumn and you can still expect beach weather, with temperatures hovering in the low to mid-20s and just a couple of rain showers a month. It can get a little cooler in the evenings, though, so it’s a good idea to bring a jumper or light jacket. 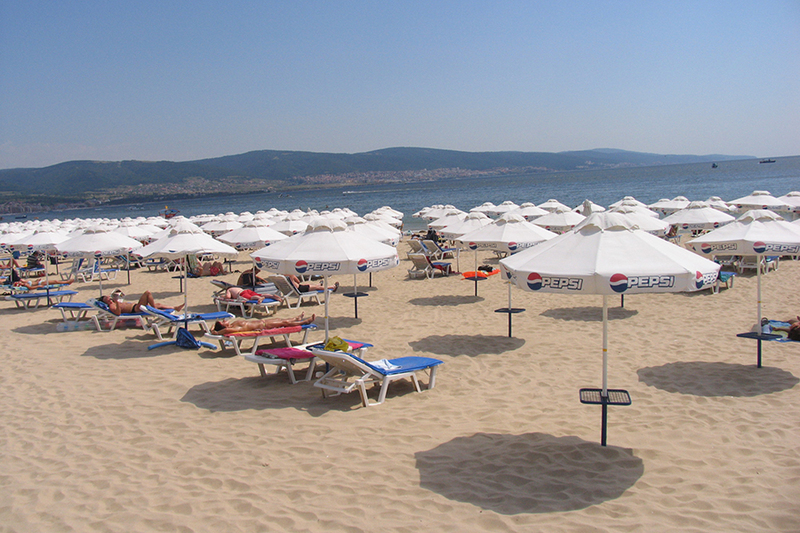 The airports serving Sunny Beach are Burgas Airport (around 25 km) and Varna Airport (around 100 km). Sunny Beach bus station is well connected by bus with all larger Bulgarian cities. There is no direct connection by train. The first passenger railway station is Burgas. The resort's construction began back in Communist times, in 1958. Construction works began at a site, where two old wells supplying Nessebar with water in ancient times and during the Middle Ages had been located. 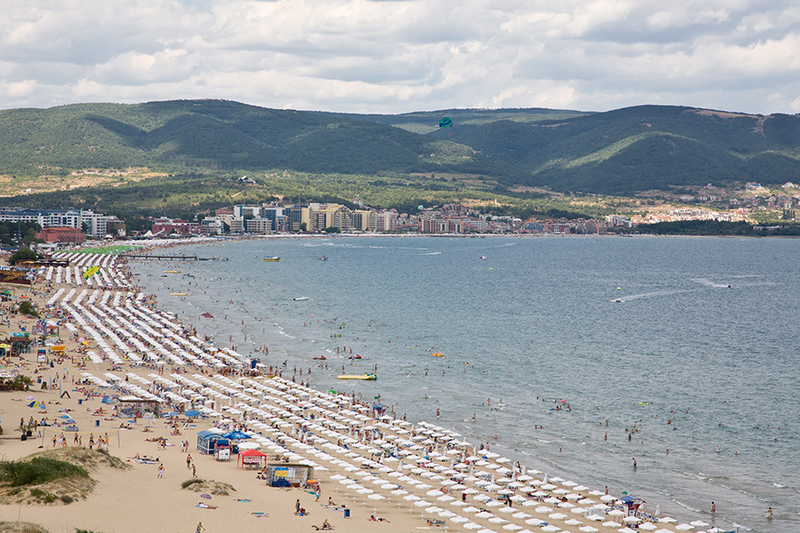 The climate of the area is Mediterranean, explaining Sunny Beach's popularity with tourists since the Soviet Union existed. Since that time the resort's popularity has grown among German holidaymakers, who add to the already large numbers of Russian visitors. More recently, Sunny Beach has begun to attract the attention of the British, Irish, Scandinavian and Dutch for which it is a more affordable alternative to the established Mediterranean resorts. There are more than 6,000 restaurants and clubs, so you'll never be short of new places to eat. Every one of the resort's restaurants and entertainment spots will leave you with unforgettable memories experienced in congenial surroundings. One of the best East Europe shopping destinations. Wherever you head to, there's a huge range of places to buy gifts, fashion and food. Bulgaria's Black Sea coast has a maritime climate. Summers are typically hot and dry, but rarely oppressive, with moderate, relative humidity. 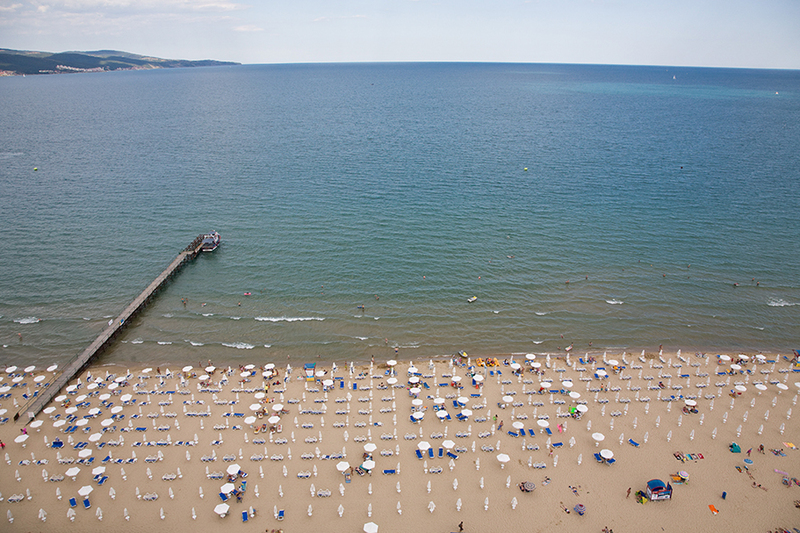 In the Black Sea coastal regions, including Bulgaria's Sunny Beach, Mediterranean influences temper the harsher continental climate of the rest of the country. Locals say the area, particularly north of Sunny Beach, has a unique climate due to the combination of sea and mountain air, which they say is most favourable for people with asthmatic and respiratory conditions.